Red Deer College is pleased to participate in Red Deer Reads, the community-wide book club launched by Red Deer Public Library. 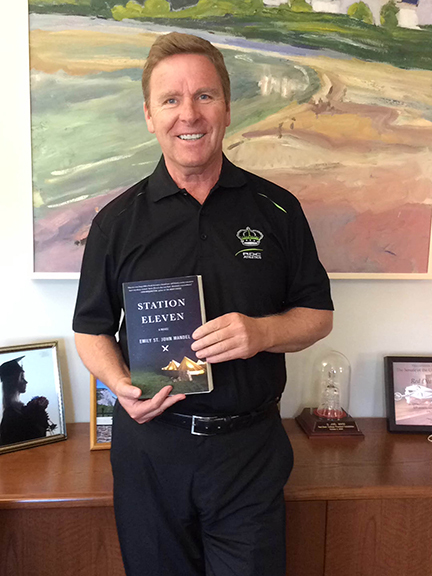 RDC President and CEO Joel Ward will be reading the book this summer, along with many staff and faculty. RDC has a free copy of the official Red Deer Reads book, Station Eleven, by Emily St. John Mandel, and more free copies will be available for pickup at RDC Library over the summer. The Library also has the book in our collection, as does Red Deer Public Library and many of our partner libraries throughout Alberta. Please join us! Get your hands on a copy, read the book, and participate in the many Red Deer Reads activities this fall (more details to come). For more information on the community book club, the book, and the author, visit the Red Deer Reads website or drop into any branch of Red Deer Public Library.